Advanced Dungeons and Parenting: AD&D's Appendix N? What About the Moldvay Appendix? AD&D's Appendix N? What About the Moldvay Appendix? As James Maliszewski-- author of the excellent science fiction role playing game Thousand Suns -- has pointed out, the Appendix N that Gary Gygax provided on page 224 of the 1st Edition Advanced Dungeons & Dragons Dungeon Master's Guide has "now become a widely used shorthand for the literary origins of RPGs." 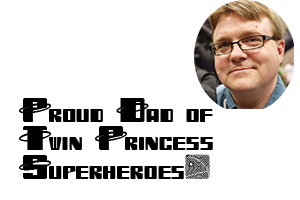 James' site often includes discussions of the appendix, its influence on the early days of the hobby, and from time to time he even reviews books and authors featured in the Appendix. Given that he has taken the time to review the Carnelian Cube, a book that fellow Appendix N advocate Erik Mona has found "wanting," it is my hope that James will someday review the Kothar series by Gardner Fox. Though if that doesn't happen I might just find the time to do so. Having endured a couple of Lin Carter's Thongor books, I figure they cannot be much worse. That said, Carter at least has the virtue of being one of the best editors in SF/F history even though his Thongor stories fall very short of the best of Sword and Sorcery fiction. If I were to say that the influence of Appendix N extended beyond the gaming table and that many of the works therein are also seminal works of Science Fiction and Fantasy, I don't think there would be many who disagree. The Appendix includes luminaries like Leigh Brackett, Edgar Rice Burroughs, J.R.R. Tolkien, Manly Wade Wellman, and Robert E. Howard -- and many others beside. But the list is also incomplete. There is no listing for Clark Ashton Smith, for example. But this is not the only list of recommended reading that the Dungeons & Dragons games have provided their readers. No indeed. The Erik Mona edited Pathfinder roleplaying game, or as I call it D&D Golarion, has it's own Appendix 3 which features a list of recommended reading. It is a longer list than Gygax's, and a good one. My own favorite "Appendix N" is a combination of the "inspirational source material" provided by Tom Moldvay on page B62 of the 1981 Dungeons & Dragons Basic and in the module X2 Castle Amber. While others may have based their youthful Fantasy purchases on Appendix N, I based mine almost entirely on the Moldvay list. It should be noted that Tom Moldvay was assisted in the creation of his list by Barbara Davis who was Children's Librarian at the Lake Geneva Public Library. Davis eventually became the Library Director from 1984 to 1996. I don't know where she is now, but I'd like to thank her for the many hours of joy the list she worked on has provided many young people. Maliszewski has already written a brief comment about how the Moldvay list differs from the Gygax one, and argues that it represents a shift from material that influenced the design of the game to a list that might provide inspiration or entertainment for those who play the game. To quote James, "Whereas Gygax's list was a list of the specific books and authors who influenced him in creating the game -- and are thus a window into how he saw the game -- Moldvay's list is a generalized quasi-academic survey of fiction and non-fiction that might hold some interest to players of D&D." His language is strong, and as much as he demurs from the quote being used as a "this list is better than the other list" statement, it seems clear to me that the use of the term "quasi-academic" is somewhat loaded. Let's just say that James and I hold similar, but not exact positions on the lists. I agree that the Gygax list is a specific list that influenced him in creating the game. I think the list was also one which he thought would appeal to people who were currently playing D&D. That is to say, adults. When AD&D was first published, the game was just beginning to escape from college campuses and niche SF/F reading circles and into the mainstream. The Moldvay list, on the other hand, is written for a generation of emerging players. It is written for the young. Both lists include some overlap -- Fritz Leiber, Robert Howard, H.P. Lovecraft, and J.R.R. Tolkien. But Moldvay's list is divided into many sections. There is Fiction: Young Adult, which includes Lloyd Alexander, L Frank Baum, and Ursula Le Guin. There is Non-Fiction: Young Adult, which includes Olivia Coolidge's Legends of the North. There is Fiction: Adult Fantasy with Poul Anderson, Leigh Brackett, Avram Davidson, E.R. Eddison, Heinlein, Jack Vance, Karl Edward Wagner, and a host of others. Adult Non-Fiction includes Jorge Luis Borges' The Book of Imaginary Beasts and Thomas Bullfinch. In most ways, the Moldvay list is inclusive of Appendix N. There are only four authors Moldvay's list leaves out that are in the Gygax list. These are Frederic Brown, August Derleth, Margaret St. Clair, and Stanley Weinbaum. If you want a wonderful overview of the Sword and Sorcery field, I would argue that you should start with the Moldvay list and add the four authors that Moldvay excluded. If your primary mission is to see the books that influenced Gygax, stick to Appendix N.
I've read the first Kothar book, and I have to say I thought it was better than I expected. I had very low expectations, but Fox has a couple of very novel scenes. It's been a few years (and I will review it eventually), but my memory tells me the character of Kothar is basically a boring Conan clone, but some of the stuff that happens is much more interesting than you might expect. It feels much more like a "Dungeons & Dragons" world that Kothar inhabits than Hyborea, or even the world of John Jakes's Brak (whose adventures are also more entertaining than you probably expect). I had fun reading the book, and will get to the others in the series over the next couple years. More interesting to me is Fox's other barbarian character, Kyrik, who has a demonic sword and whose adventures are supposedly a bit more "adult" than those of Kothar. I've got all of the books, but I haven't yet carved out any time necessary to read them. 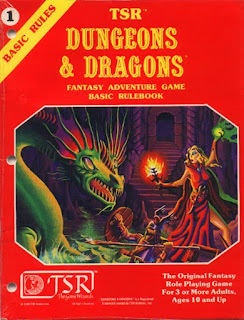 I was influenced more by the inspirational reading list provided by Moldvay than I was by Appendix N. Moldvay's Basic set is the game that I first discovered, and it was several years before I played AD&D. The list provided by Moldvay gave me a bunch of titles and authors to discover long before I found Appendix N, and I'm sure there are plenty of others out there who had the same experience. I do find it a little odd that very few bloggers have stepped forward and said the same, so it's nice to see your post and know I'm not the only one who feels this way.